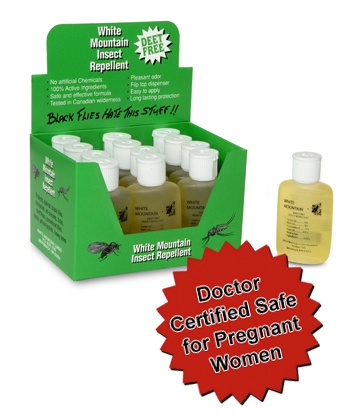 White Mountain Insect Repellent is an all-natural Deet-Free insect repellent that can be repeatedly applied with no toxic effects can be applied to children and people who are sensitive to deet containing products like Off Repel, Muskol, etc. 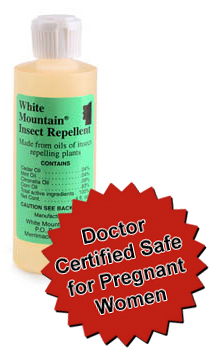 It is compounded from essential oils of insect repelling plants and has been tested in wilderness areas of the Northeast and in Canada. When applied to the skin it affords protection from the bites of most biting insects including mosquitos, black flies,ticks,fleas,chiggers, coastal greenheads and no-seeums.